If you're a gamer, your mouse is your greatest tool. It's the sword and shield in medieval RPGs, your SMG in first-person shooters and an extension of your brain in real-time strategy games. Making something so precise and responsive, while simultaneously staying comfortable and durable after years of use, can be a challenge. These decisions are a full-time job for Stefan Blanchard, Director of Design at Razer, and his team. 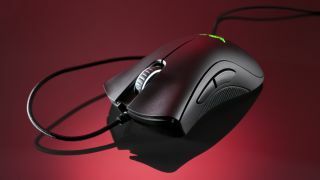 In an interview at the company's west coast headquarters in San Francisco, Blanchard explained the dozens of innovations that go into every new mouse Razer produces and gave me a sneak peek at its two newest mice: the Razer Mamba and the Razer Mamba Tournament Edition. The video gives you a behind-the-scenes look at some of the conceptual designs Blachard has created (those white, plastic mice) as well as some of the history of the company that created the gaming mouse as we know it.